When my mom first got our puppy, Nemo, last year, this is one of the first photos I got of him in our front yard. 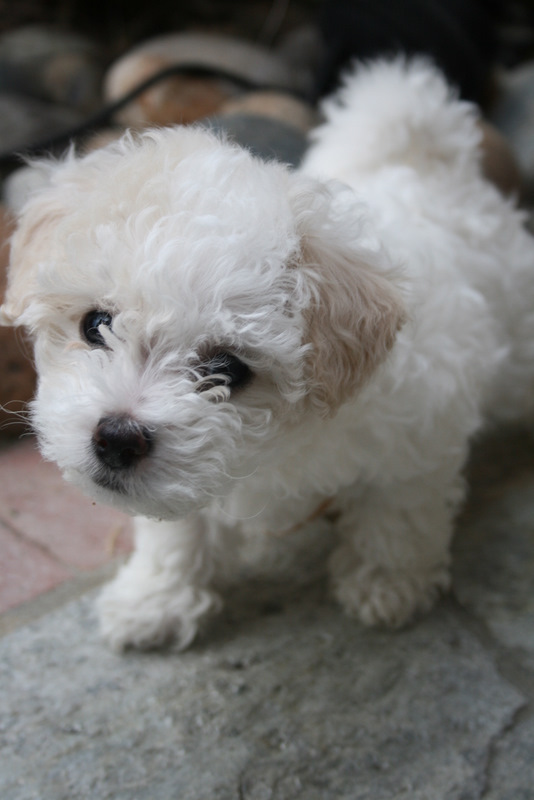 He’s a white Bichon Frise with light brown spots. Naming him was a joint brainstorming effort between my brother and I. He is now a lot bigger (comparatively), and still just as playful as ever! omgosh that is so cute!